The dictionary definition of the word is “insight, direct or immediate cognition, spiritual perception.” The word is from Latin intuitionem suggesting “a looking at or consideration.” In the deeper sense it is the consideration of anything in the light of the soul. The Brotherhood of Light is the ultimate source of spiritual guidance. Throughout time, the idea of a group of wise and enlightened beings working behind the scenes to guide our planet has been conveyed in spiritual teachings, in literature and myth. The group has been known by many names, including the spiritual Hierarchy, the Masters of the Wisdom, the Elder Brothers , the rishis of India, and the Communion of Saints. During times of crisis in human affairs great teachers have emerged from the Hierarchy into the world of time and space. These have included Socrates, Shri Krishna, Mohammed, the Buddha and the Christ. The Spiritual Hierarchy can be understood as reservoirs of lighted, loving energy on the inner side of life – a presence in the higher reaches of consciousness. They are the substance of what is often referred to as the Kingdom of God. Mystics and seekers of every faith have always known this. It is these energies and these Beings that shape the evolving sense of purpose and direction in human affairs, and that are awakening us now as a species to a new understanding of oneness. I see that Erasmo Parra gave us a lengthy response to the question and he cited three sources: Alice Bailey, H.P. Blavatsky, and the “Ascended Master” concept or teaching. I think his his answer is commendable with one key exception, namely that the “Ascended Masters” teaching, as I explain below, does not really belong with the other two. The Blavatsky and Bailey Teachings are the primary sources for the teaching on The Brotherhood of Light, though there are numerous other secondary sources that support them including the Rosicrucian, the esoteric side of Freemasonry as well as many individual writers. The phrase “Brotherhood of Light” has a number of synonyms and these include: Hierarchy, Spiritual Hierarchy, The Masters, and The Lodge. This Brotherhood or Light or Spiritual Hierarchy is the original source that inspired all of the great religions and cultural evolutions of humanity. Behind the evolution of the world is a brotherhood of light. Behind humanity, events, nations, cycles of history, is a mysterious source of inspiration. It is the Hierarchy of Love and intelligence, a brotherhood of enlightened souls who lead and who are the goal and guiding light of humanity. Ralph Waldo Emerson spoke of it as, “…that lofty and sequestered class who have been its prophets and oracles, the high priesthood of the pure reason, the Trismegisti, the expounders of the principles of thought from age to age.” They are transcendent; participants in super-nature, “…the privilege of this class is an access to the secrets and structure of nature, by some higher method than by experience”. They were and are men, yet now more than that. Through many lives, they came by way of natural human evolution. They are called “Masters,” because they have mastered nature and achieved vast knowledge inclusive of yet transcending all the accumulated knowledge of all humanity. The Masters are human, yet not limited by human faults. They are divine, but not all-powerful. They are masters of wisdom, mediators of powerful spiritual energy, of divine love and intelligence. The Hierarchy, as a brotherhood of knowledge and enlightenment, are instrumental in the evolution of life, including but not limited to human life. They manifest spiritual luminosity; a mastery of self–of all things physical, emotional, mental. We understand life as unfoldment of consciousness. So man, by evolution, transcends the animal, and the spiritual Hierarchy of our world, by evolution, transcends the human. Hierarchy is true consciousness, and by our approach to it we come to understand what it means to be awake, to be alive, to be truly conscious. So, humanity becomes a future Hierarchy. Hierarchy is a unity, a collective light behind and through the foundations of all things benevolent. The existing good in human arts, sciences, and societies, the good of all human creativity in the world, is in reality a blend of human with Hierarchical light. The light of world civilizations, seen from space, is the symbol of both our light and theirs. The collective aura of humanity grows luminous in the approach of Hierarchy. Their visitations support the long march of human history. Their power–in concert with our best efforts–stands as guard and guide in struggle of light with darkness. Hierarchy is an integral part of the aura of the Earth, and the soul of humanity, that slowly awakening light, is also integral to that same aura. So, behind the scenes, members of this Brotherhood are active in fostering the spiritual and cultural life of nations. They rarely come before the public eye, and when they do are not generally not recognized other than by those closely affiliated with their work. People usually see–not the members of Hierarchy–but their agents or disciples. These disciples work in the world by intuition, being spiritually impressed and often without conscious knowledge that they are disciples fulfilling a mission. Others are partly or fully conscious and clearly know that their labor on behalf of humanity is under the guidance of Hierarchy. The work of Hierarchy and their agents in the world is not limited to what people usually call spiritual or religious work. Rather the entire field of human evolution is their field of service. Their activities embrace the light of right government, education, and all the sciences and arts that constitute human culture. These true teachers guide, inspire and educate, but do not coerce or force humanity. Individual freedom, especially mental freedom, is never infringed. A key consequence of this is that their disciples can make mistakes in the way they represent themselves, their teachings, and the nature of Hierarchy itself. To attempt to correct all mistakes would itself be a violation of human freedom. So, Hierarchy is not an imposition, but a bridge to the future. There are, as indicated above, numerous narratives in history about the role played by The Brotherhood, but perhaps the most notable example where we have a detailed record is relate in the book The Comte de St. Germain: Isabel Cooper-Oakley. Another good narrative on the history of this can be found here The Count of Saint-Germain. Every society has had its belief in divine support. Angelic beings have been a running theme throughout the Bible as messengers of God… devas, dynasties, and divine incarnations. Taoists have their pantheon of gods and divine ones. The gods and sacred beings of ancient Mesopotamia and Egypt played a central role in those societies. The Orphic and Elysian mysteries, with their mythology of the gods, were indispensable in the development of classical Greek culture and its golden age. In more recent times, mystics such as Helena Blavatsky, Max Steiner, Alice Bailey, Rudolf Steiner, and others helped reawaken an understanding of the spiritual hierarchy. Today, with the blossoming spiritual renaissance, many are taking a closer look at our relationship to the Holy Ones. A Network of Celestial Beings under God The spiritual hierarchy is the administrator of God’s divine plan. They are responsible for carrying out the various duties of creation. This holy order ranges from advanced souls in the human kingdom to glorious angels, archangels, and planetary leaders. We will pay particular attention to angels and archangels, yet there are other aspects of the Higher that exert an enormous influence as well. These Holy Ones have been on the spiritual path for a long time, many for eons, and have evolved enormously. They work to uplift humanity and form the evolutionary link connecting us to God. These exalted beings work on different levels of unfoldment, which is why it’s called a hierarchy, yet all work in perfect harmony with one another. Together, they form the evolutionary chain that links all life from the simplest amoeba to the most radiant archangel. We need these great beings as they are our link to God, and God works through these wonderful beings, guiding and steering the entire process of evolution. In Soul Consciousness there is a wondrous sense of perfection that transcends all conventional meanings of the term. But there is a problem with this word “perfection” because it suggests an end, a completion, a culmination point beyond which there is then nowhere else to go. A Transcendent spiritual experience is the entrance into a realm that seems perfect, and yet we find that beyond that and beyond that is more and yet more. The path toward Perfection is both infinite and infinitely satisfying at each stage. Perfection is a static sounding noun but the energy of life is more analogous to a verb. The essential proof of the meaning of perfection is available and ever unfolding because Divinity is within. This is an important book. Anyone who thinks, talks, or writes, needs it! Since so much is embodied in words, its vital to give close attention to the problems of language, meaning and communication as it relates to things psychological, philosophic, religious and metaphysical. This is what this book accomplishes with great skill. Application of the ideas in this book will clarify and empower your thinking and communication skills. Someone asked, “What is the ultimate reality? What defines reality for an individual is their consciousness because what they are conscious of is real for them. Ultimately, each person must decide for themselves what is true and what is not and people are not static so this evolves over time. But for any truth to be meaningful, it must be found within our self which is to say, within the soul. The innermost self, the soul has knowledge of which the personality can become conscious. “Consciousness” means to know and the soul (the real you) knows vastly more than the personality. Evolution brings soul and personality together, so evolution is the evolution of consciousness and expressed reality. God as “ultimate reality” is a phrase that expresses something about God, but all such phrases never seem adequate. The problem with this one is that it sounds final in the sense of static, whereas God is dynamic. A word such as “God” comes with certain emotional and mental associations that depend on personal experience. The word is just a bit of language and the meaning we seek is beyond language. There is only a very limited reality expressed in language. We can say that deep reality, or the one reality, is above and beyond language. Nevertheless, when the consciousness is ready, a word can serve as a reminder, pointing to that which is beyond and which was always known in the depths of consciousness. There is cosmic Truth; kin to the energy that patterns all the suns in Space. It is transcendent Spirit, pure Light beyond thought and word. 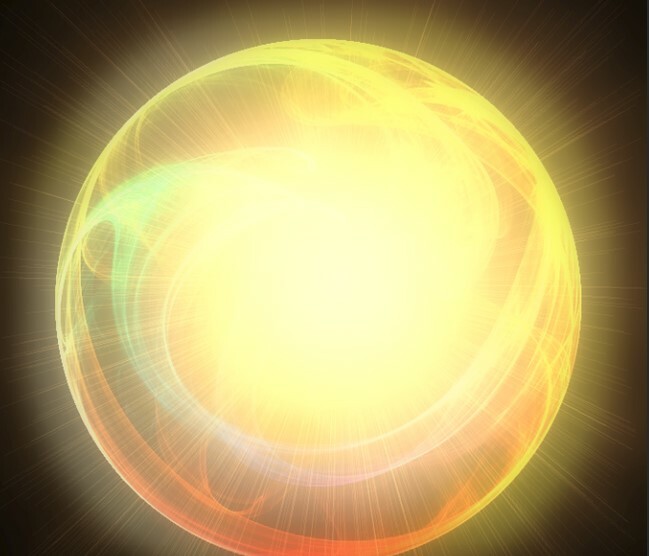 There is Monadic truth, the sun-like core of Self, mystically one with spatial suns. There is intuitional truth, pure Beautiful light, and more of truth than fits most any brain. There is truth of soul, a fire above the mind, and great, but well below the fires of the great hierarchy of suns. There is the relative truth that developed mind takes and forms to words. It embraces the practical and the communicative. It is thought-truth in which we may see, from time to time, mirrored sparkles of things cosmic and mysterious. There are truths on the many strata of the emotional plane, an array of sensing and sensitivities in graded steps from most beautiful downward toward the darkly glamorous and exclusive pseudo truths of the fanatics. But what is our relation to truth? We are light obstructions becoming clear light transmitters. All the common of intellect, of emotion and body, and all ordinary noise that we do and say—all this competes with the pure pressures from above, with the transcendental. So, in our sleepy misalignment we block our creative gifts, and our fears, greater than our loving desire to give, hold us in prison. Yet then there comes the upward turned eye, the pure feeling, the creatively tensed thought—these instruments of divinity manifest. And as the eye mirrors suns in the far depths of space, so a certain turn of mind and heart mirrors the mystic, the most Transcendent. 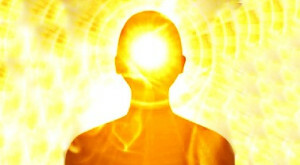 Then we render ourselves most clearly, drawing ever closer to the energy that patterns suns, ever closer to transcendent Spirit, to pure Light beyond thought and word. What are the dimensions of spirituality? It might be better if the question were: “What are the dimensions of spirituality and materiality.” I will offer as my answer a summary and simplification from the Ageless Wisdom. There is the manifested and evolving universe, and there is THAT out of which the universe was born. Spirit, in the ultimate sense, is that source. Unlike the ultimate SOURCE, the manifested universe is evolving, changing and relativistic, Which is to say it unfolds in time and is composed of various types or grades of spiritual and material energies that are relative to, and understood in relation to each other. Everything in the manifested universe is composed of matter and energy of some grade. In addition, the physical and the spiritual worlds are not entirely separate things but rather are a continuum of one unified thing which we can call spirit-matter. This continuum can be visualized as a hierarchy with spirit, or pure spiritual energy, at the top and the most dense physical matter at the bottom. Between the highest spirit and the lowest matter are many grades, levels, or dimensions. When we say that anything is spiritual or divine, we mean that it belongs one of the upper levels of this hierarchy, that is to say, it has a closer proximity to pure spirit than the realms or dimensions below it in the hierarchy. So, there are degrees of spirituality and it is correct to say that something can be relatively spiritual or relatively material because there are higher degrees of spirituality beyond it. From the above, it may be surmised that the human mind and emotions do not belong to the dense physical world at all. While in physical incarnation, the mind works through the brain but it does not have its origin there and belongs to the psychic dimensions and these dimensions are of a much finer grade of spirit-matter than the dense physical body. 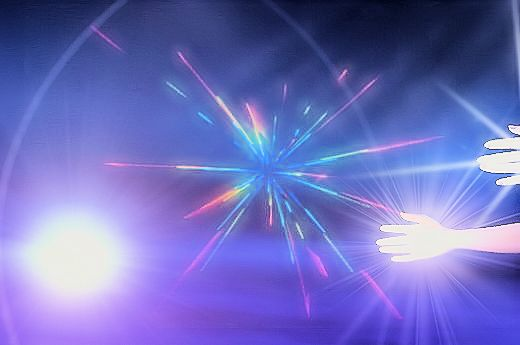 Mind and emotions are rightly conceived of as energy fields that are extensions of the soul and these are tethered to a physical body during incarnation. As Evolution proceeds, the soul expresses itself increasingly through the lower dimensions, that is, through its mental emotional and physical vehicles. Consequently mind, emotions, and physical body become illuminated and take on spiritual qualities. This evolution underscores the truth that spirit and matter are not separate things. We do not have a soul on the one hand and a material personality on the other, rather the two become blended. Through evolution, the soul takes greater possession of the personality and expresses itself through it. so, over time the lower dimensions become increasingly spiritualized. As stated above, there are actually seven primary dimensions, and in simpler form, the four aspects described above actually belong to the three lowest dimensions which can be enumerated as: Soul, psychic, and spiritual. And, in the larger scheme of things, we have five other higher dimensions above these three and human evolution ultimate money moves up into these dimensions as well. The full scheme of seven dimensions or levels is—including the lower three dealt with here— are shown chart the chart below. In the chart, the lower three are labeled V, VI, and VII. The seven dimensions are sometimes called “The Seven Planes of our Solar System,” and, as shown below include many details and aspects not described in my answer. Chart taken from the works of Alice A. Bailey.